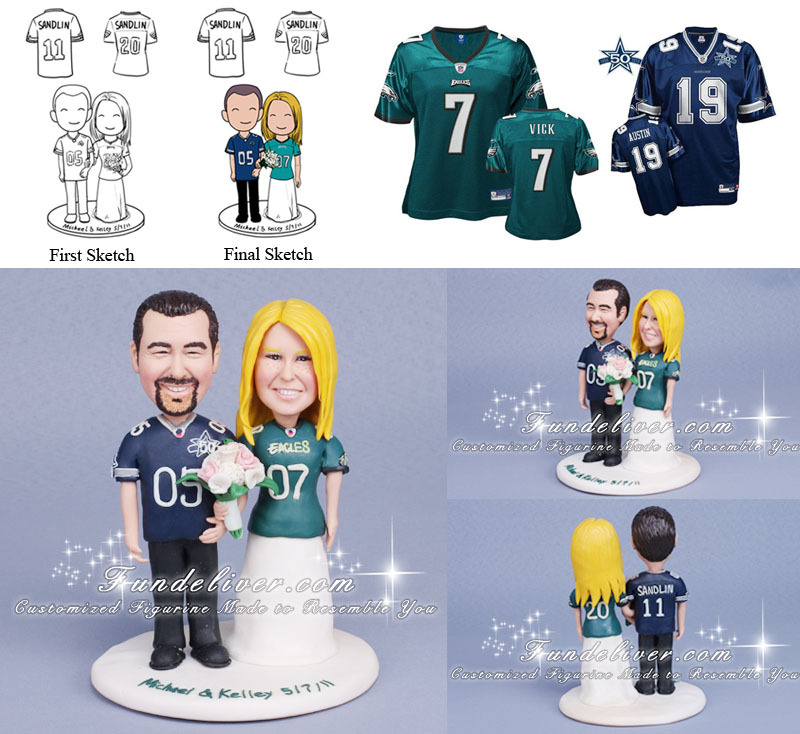 This is a completely customized Dallas Cowboys and Philadelphia Eagles football themed wedding cake topper ordered by one of our customers. We just received our topper and it is absolutely perfect! Thank you so much for making this, I’m sure it will be the highlight of the cake (and reception)! You’ve exceeding our expectations 100%, and we couldn’t thank you more! You’re the best! Same football fans? 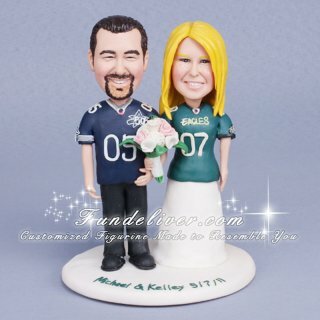 What is your idea about your football wedding cake topper? Which football team do you want to get involved in your football topper?